Automobile sales workers inform customers about new or used automobiles, and they prepare payment, financing, and insurance papers for customers who have purchased a vehicle. It is their job to persuade the customer that the product they are selling is the best choice. They prospect new customers by mail, by telephone, or through personal contacts. To stay informed about their products, sales workers regularly attend training sessions about the vehicles they sell. There are more than 269,000 automobile sales workers employed in the United States. The automobile sales worker’s main task is to sell. Today, many dealerships try to soften the image of salesmen and women by emphasizing no pressure, even one-price shopping. But automobile dealers expect their employees to sell, and selling in most cases involves some degree of persuasion. 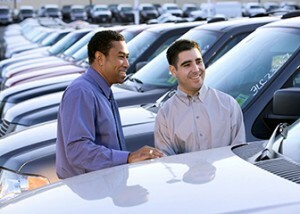 The automobile sales worker informs customers of everything there is to know about a particular vehicle. A good sales worker finds out what the customer wants or needs and suggests automobiles that may fit that need—empowering the customer with choice and a feeling that he or she is getting a fair deal. Since the sticker price on new cars is only a starting point to be bargained down, and since many customers come to dealerships already knowing which car they would like to buy, sales workers spend much of their time negotiating the final selling price. Most dealerships have special sales forces for new cars, used cars, trucks, recreational vehicles, and leasing operations. In each specialty, sales workers learn all aspects of the product they must sell. 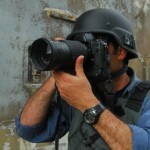 They may attend information and training seminars sponsored by manufacturers. New car sales workers, especially, are constantly learning new car features. Sales workers inform customers about a car’s performance, fuel economy, safety features, and luxuries or accessories. They are able to talk about innovations over previous models, engine and mechanical specifications, ease of handling, and ergonomic designs. Good sales workers also keep track of competing models’ features. In many ways, used car sales workers have a more daunting mass of information to keep track of. Whereas new car sales workers concentrate on the most current features of an automobile, used car sales workers must keep track of all features from several model years. Good used car dealers can look at a car and note immediately the make, model, and year of a car. Because of popular two- and three-year leasing options, the used car market has increased by nearly 50 percent in the last 10 years. Successful sales workers are generally good readers of a person’s character. They can determine exactly what it is a customer is looking for in a new car. They must be friendly and understanding of customers’ needs in order to put them at ease (due to the amount of money involved, car buying is an unpleasant task for most people). They are careful not to oversell the car by providing the customers with information they may not care about or understand, thus confusing them. For example, if a customer only cares about style, sales workers will not impress upon him all of the wonderful intricacies of a new high-tech engine design. Sales workers greet customers and ask if they have any questions about a particular model. It’s very important for sales workers to have immediate and confident answers to all questions about the vehicles they’re selling. When a sale is difficult, they occasionally use psychological methods, or subtle “prodding,” to influence customers. 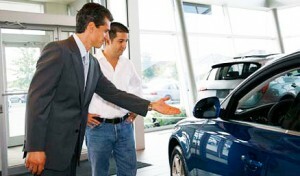 Some sales workers use aggressive selling methods and pressure the customer to purchase the car. Although recent trends are turning away from the pressure-sell, competition will keep these types of selling methods prevalent in the industry, albeit at a slightly toned-down level. Customers usually make more than one visit to a dealership before purchasing a new or used car. Because one sales worker “works” the customer on the first visit—forming an acquaintanceship and learning the customer’s personality—he or she will usually stay with that customer until the sale is made or lost. The sales worker usually schedules times for the customer to come in and talk more about the car in order to stay with the customer through the process and not lose the sale to another sales worker. Sales workers may make follow-up phone calls to make special offers or remind customers of certain features that make a particular model better than the competition, or they may send mailings for the same purpose. In addition to providing the customer with information about the car, sales workers discuss financing packages, leasing options, and warranty. When the sale is made, they go over the contract with the customer and obtain a signature. Frequently the exact model with all of the features the customer requested is not in the dealership, and the sales worker must place an order with the manufacturer or distributor. When purchasing a new or used vehicle, many customers trade in their old vehicle. Sales workers appraise the trade-in and offer a price. At some dealerships sales workers also do public relations and marketing work. They establish promotions to get customers into their showrooms, print fliers to distribute in the local community, and make television advertisements. In order to keep their name in the back (or front) of the customer’s mind, they may send past customers birthday and holiday cards or similar “courtesies.” Most of the larger dealerships also have an auto maintenance and repair service department. Sales workers may help customers establish a periodic maintenance schedule or suggest repair work. Computers are used at a growing number of dealerships. Customers use computers to answer questions they may have, consult price indexes, check on ready availability of parts, and even compare the car they’re interested in with the competition’s equivalent. Although computers can’t replace human interaction and sell the car to customers who need reassurances, they do help the customer feel more informed and more in control when buying a car.